1 - click on "sign up"
9b F.A. and 8c+ on sight in the same day: and now ? 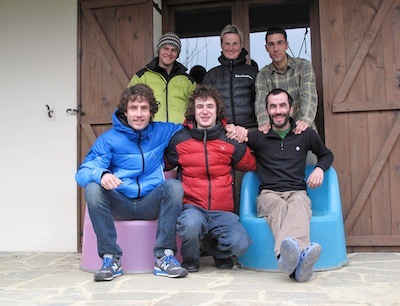 Bernabè Fernandez is going to publish here in his new blog his very interesting climbing life. Here, with the Top-100 crags in Europe, the history of sport climbing (pag. 56, more about it here), etc.